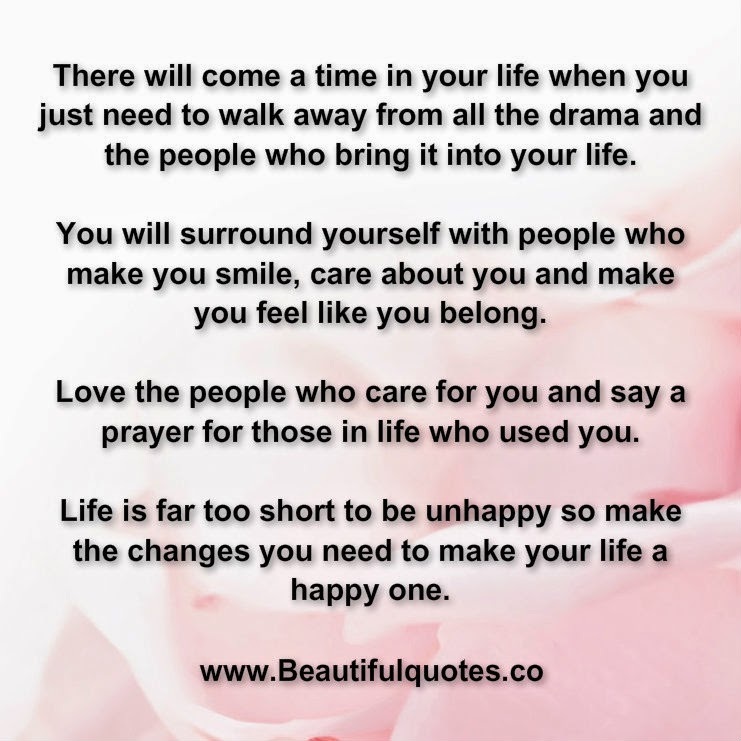 google-site-verification: google8d8438b214143f71.html Beautiful Quotes: You just need to walk away from all the drama. There will come a time in your life when you just need to walk away from all the drama and the people who bring it into your life. You will surround yourself with people who make you smile, care about you and make you feel like you belong. Love the people who care for you and say a prayer for those in life who used you. Life is far too short to be unhappy so make the changes you need to make your life a happy one.